Do you struggle with sleeping hot at night? Looking for a solution that doesn’t involve investing in a whole new mattress? A new mattress pad might be the right solution for you, but if you are a sweaty sleeper, you should choose wisely. Keep reading to find the best one for you. Our top pick is the Allrange Cool Tencel™ Mattress Pad, which provides a soft, silky sleep surface that won’t overheat. Our runner-up pick is the Advanced Sleep Solutions Gel Memory Foam Mattress Pad, which uses gel to help disperse heat and keep you cool. A mattress pad can not only protect your bed from spills and dust mites but also help you sleep cooler. They come in all sizes and can provide extra comfort for your mattress, as well as a barrier between your bed and factors that may harm your mattress. In this article, we’ll go over our top picks for cooling mattress pads, followed by useful information about them. The Advanced Sleep Solutions Gel Memory Foam Mattress Pad is a 2-inch topper that gives your mattress an extra layer of comfort. Made to help relax muscles, relieve pressure, and encourage spinal alignment, it adds a medium amount of softness to your bed. Since it’s made with memory foam, the Advanced Sleep Solutions Mattress Pad helps absorb motion, making it a good pick for people with pets or partners. It has an open-cell design and is made with gel to help disperse heat and cool down the sleeper. If your bed is too firm and you’d like to make it feel a bit softer, this could be a good solution. The Advanced Sleep Solutions Gel Memory Foam Mattress Pad is made in the USA. The product comes with a 60-day money back guarantee and a three-year manufacturer’s warranty. The LEISURE TOWN Cooling Mattress Pad is a down alternative product with a breathable, soft design. 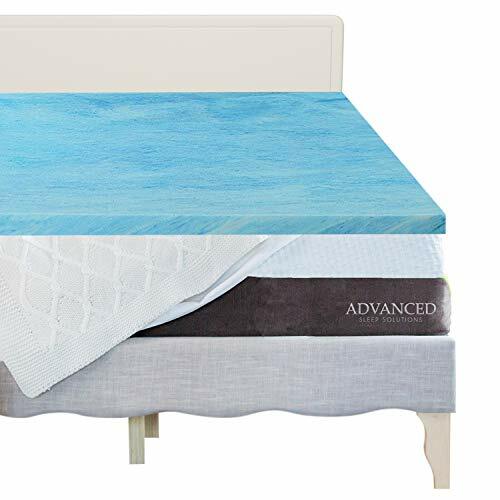 Ideal for people who like the feel of down but want a more affordable option, this product stretches to fit your mattress and stays in place well. Its cloud-like surface has a diamond quilting design and is made from 100 percent cotton, a breathable material that contributes to the cooling properties of the mattress. This is a good option for people who want some protection against spills and liquids but don’t need full protection. If you spill liquid on this pad, it’s easy to clean up, as long as it’s not too much and you do it fast. People who want protection against larger or more frequent spills may want to opt for a fully waterproof mattress pad. The LEISURE TOWN Cooling Mattress Pad comes in a vacuum sealed bag. You should machine wash and dry it, then allow it a few days to dry before you use it. If you’re dissatisfied with your purchase, this product comes with a money-back guarantee. 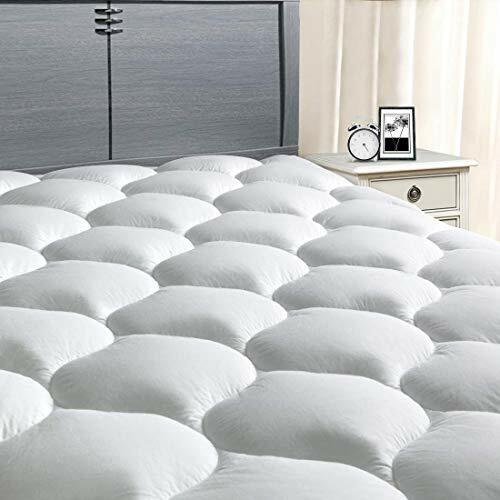 The Great Bay Home Cooling Mattress Pad is a 100 percent polyester fiber fill mattress pad. It works well with memory foam mattresses because it provides a breathable barrier between you and the foam, which is known to retain heat. If you suffer from allergies and often wake up with a stuffy nose or itchy eyes, this hypoallergenic material could be a welcome change. Made with cooling fibers, this may present a solution to overheating at night. The Great Bay Home Cooling Mattress Pad is easy to care for and can be machine washed and tumble dried. Available in every size, this mattress pad comes with a 100 percent satisfaction guarantee. If you don’t like the mattress pad, the Great Bay Home customer service team will help make it right. The ExceptionalSheets Rayon from Bamboo Mattress Pad is a plush, comfortable topper with a hypoallergenic design. Bamboo-derived rayon is a sustainable, cooling material, often used in clothing or pillow covers. The bamboo cover is filled with synthetic down, which provides your mattress with a down-like feel without costing as much. Down alternative materials are good for people who have feather allergies or just don’t want to be poked by feathers in their sleep. The ExceptionalSheets Rayon from Bamboo Mattress Pad provides your mattress with silent protection and won’t make annoying noises when you or your partner move in bed. This hypoallergenic topper comes with a customer satisfaction guarantee and if you’re dissatisfied, you can get a refund for your purchase. The Allrange Cool Tencel™ Mattress Pad is made from naturally sourced wood and has a soft, cool feel. If you struggle with sweating in your sleep, this absorbent and breathable material may help. The hypoallergenic bed stretches to fit your mattress and is easy to care for in the washing machine. If you share your bed with a partner, this mattress pad won’t make a crinkling sound when either of you move at night. Tencel™ is also a non-toxic fiber, making this pad suitable for people who are sensitive to allergens or harsh chemicals. 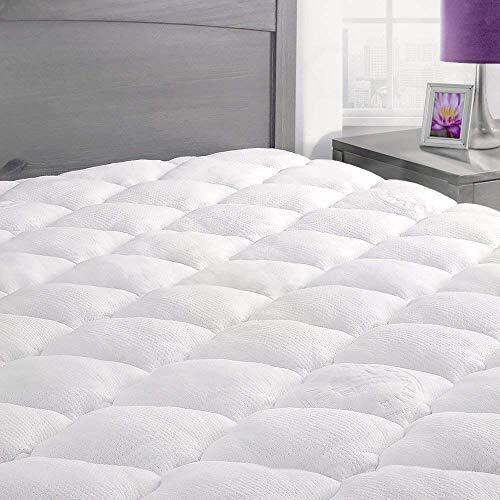 Stitched with a wavy quilting pattern to help keep the filling in place, the Allrange Cool Tencel™ Mattress Pad should be washed with cold water and mild detergent. This product comes with a three-year warranty. This pad is the same as the original eLuxurySupply Rayon from Bamboo Mattress Pad but has some additional filling added for more comfort. Each pad uses a synthetic material that mimics the feel of real down and provides you with plush comfort night after night. If you have feather allergies, this could be a good alternative to real down. The eLuxurySupply Rayon from Bamboo Mattress Pad can be used on memory foam, latex, or innerspring mattresses. Stitched to keep the filling in place, this mattress cover is 100 percent machine washable and silky to the touch. Bamboo-derived fabrics are known for being breathable and can help counterbalance the heat retention of a memory foam mattress. The eLuxurySupply Rayon from Bamboo Mattress Pad comes with a 100 percent satisfaction guarantee and you can exchange or return it within 30 days. The Masivs Mattress Pad Cooling Topper is made with 100 percent cotton and can protect your bed from dust mites, perspiration, stains, and pets. This luxurious topper has been overfilled to provide a plush sleep surface without retaining heat. It’s easy to clean in the washer and can be tumble dried on low. 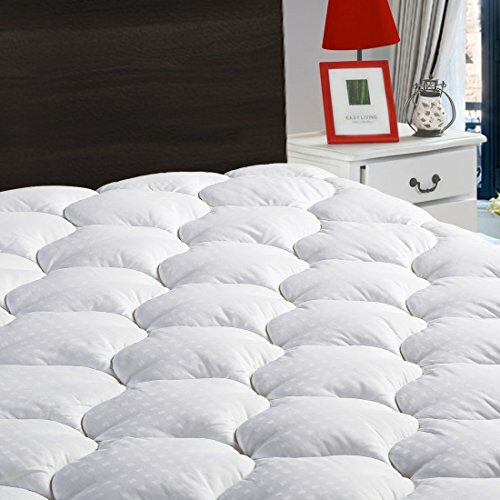 This mattress pad stretches to accommodate all mattress types and will stay in place once secured. When the Masivs Mattress Pad Cooling Topper arrives, it will be vacuum sealed. Allow it some time to expand to its full size. The Masivs Mattress Pad Cooling Topper comes with an Unconditional Lifetime Guarantee that allows you to get a replacement or refund, no questions asked. A mattress pad is an additional cover you can use on your mattress for comfort needs or to protect your bed. While some are semi-waterproof, if your main concern is a cooler sleep experience, you’d be better off choosing one that isn’t waterproof. Waterproof linings in mattress pads tend to be made of plastic-like material that doesn’t breathe well and can cause heat to build up. Mattress pads are typically fairly thin and won’t dramatically change the feel of your bed, but can add a bit of extra comfort. In addition, choosing a mattress pad that promotes breathability (like a down alternative option) can counterbalance the heat retention of a memory foam mattress. Many pads have a quilted design that helps to keep the filling in place and evenly distributed. 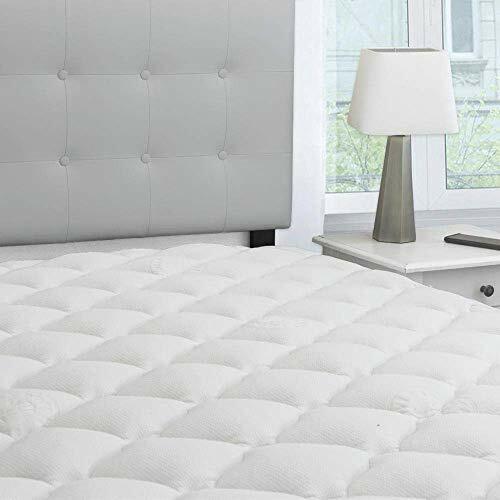 If your main concern with buying a mattress pad is protecting your bed from spills and other mishaps, you may want to opt for a mattress protector instead of a pad. Mattress protectors are typically thicker and often come with a waterproof backing to protect your mattress from fluids. However, these aren’t a good choice for people who sleep hot as they aren’t very breathable. Your sleep temperature is a crucial aspect of the quality of your rest. If you tend to overheat in your sleep, you’ll find yourself waking up multiple times per night and never falling into a deep enough sleep to feel truly rested. If you have a memory foam mattress, it may retain heat. Using a mattress pad with cooling features can help reduce this problem and enable you to rest deeper and more consistently. Although it isn’t their main purpose, a mattress pad can provide some protection for your mattress by providing a barrier between the bed and germs. Again, most of them aren’t entirely waterproof but they can still keep your bed fresher for longer, as fluids won’t be spilled directly on the mattress. While you might choose a mattress pad just for its cooling properties, a bit of extra protection is an added benefit to using one. Mattress pads typically aren’t very thick, but they can provide a little extra comfort to your bed. If you struggle with back pain or could just use some tension relief, a memory foam mattress pad might help. Having a layer that provides some extra padding and creates a bit of sinkage while you sleep can help your body relax fully. Your current mattress is worth keeping in mind before you buy a mattress pad. Although a mattress pad won’t dramatically change how your bed feels, it can provide a bit of cushion. If your bed is too firm and you need a solution for that, you’d be better off buying a thicker mattress topper or just getting a new mattress altogether. When you buy a new mattress pad, there will be care instructions specific to that product. Many mattress pads can be machine washed and tumble dried but shouldn’t be used with harsh detergents or bleach. Most of these products shouldn’t be dried on high heat or ironed, so keep that in mind. 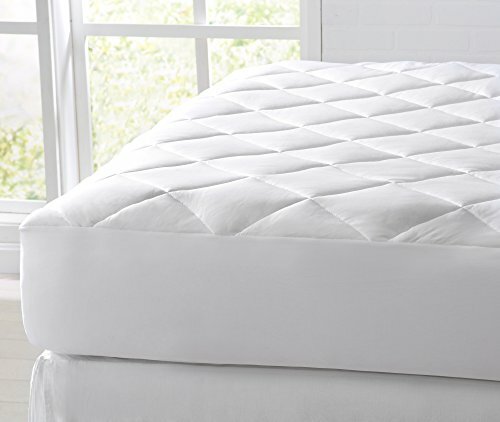 Washing your mattress pad on a regular basis will help it last much longer and keep it smelling fresh. Before you buy any product, it’s a good idea to check with the manufacturer about their warranty and satisfaction guarantee, if applicable. Some mattress pads will come with a 30 or 60-day period within which you can return your purchase if you’re dissatisfied. If you’re buying through Amazon and this information isn’t listed, you may have to contact them (or the seller) directly. Before you invest in a cooling mattress pad, what should you keep in mind? Below, we’ll cover some frequently asked questions related to cool sleeping. Q: What’s the best temperature for good sleep? A: When you’re going to bed, the room temperature should be as close as possible to your internal body temperature, which goes down during sleep. While everyone is different, sleep experts estimate that the best room temperature for quality rest is between 65 and 72 degrees Fahrenheit. Sleeping in a room that’s either too hot or too cold makes it very difficult to get quality rest. Q: Could my mattress be the reason I’m sleeping hot? A: Your mattress is definitely a huge factor in your sleep temperature. Mattress materials like memory foam are known for retaining heat. While most modern beds are made with special cooling technology, memory foam might still sleep hotter than other mattress materials. 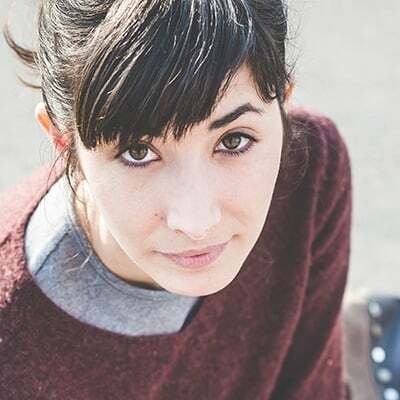 If you notice that you don’t overheat when you sleep somewhere other than your bed, your mattress is probably causing the problem and you may want more than a cooling mattress pad to fix it and may need to find a mattress for hot sleepers. Q: How can I cool off when I get too hot at night? A: Using a cooling mattress pad may help you sleep cooler at night, but what if you’re still waking up sweaty? Investing in a cooling gel pillow is another option for reaching a comfortable resting temperature. You’ll also want to make sure you’re using breathable sheets, such as cotton, instead of a heat-retaining material like flannel. Using a fan can also be helpful. Adding a cooling pad to your mattress can help protect the bed from spills and bacteria while also keeping you at a comfortable temperature. 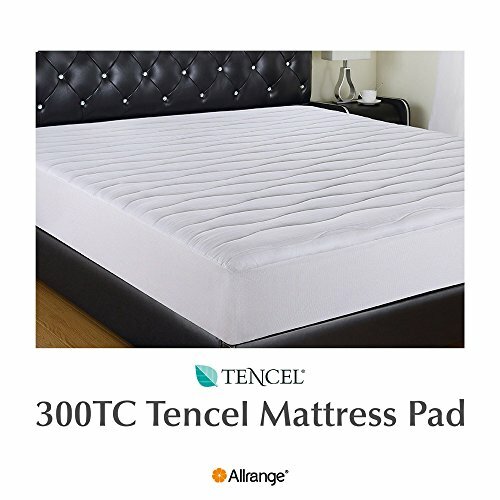 Our favorite cooling mattress pad option is the Allrange Cool Tencel™ Mattress Pad which uses a silky, plant-based material and should help you rest comfortably.